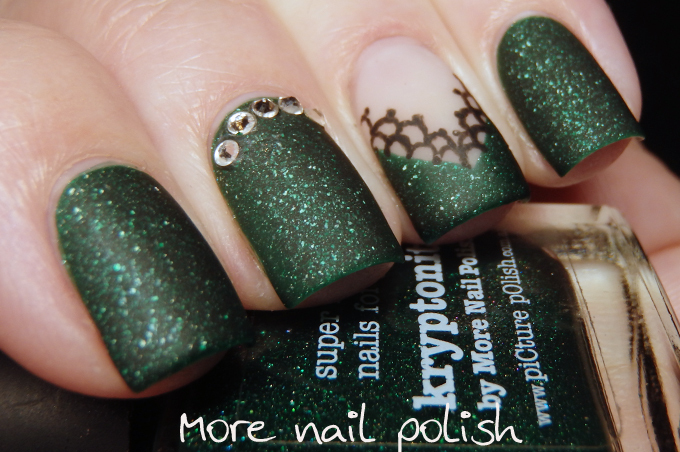 Tipically I am not fond of this shade of green but this polish is just stunning! I loooove this! That matted green is perfection! Ohh, that green is gorgeous!! I love the lace details!